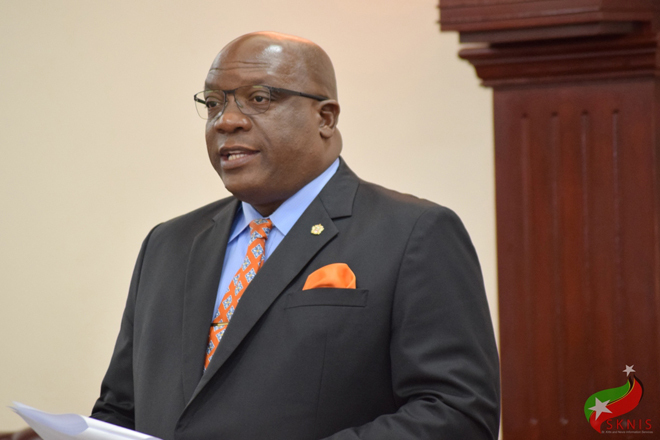 (Press Unit in the Office of the Prime Minister) – The Team Unity-led Government of St. Kitts and Nevis has once again demonstrated its resolve to do all that is necessary to reduce the incidences of crime and violence in the country. This was evident as the National Assembly of St. Kitts and Nevis on Tuesday, 12th December, 2017, passed the Appropriation (2018) Bill, 2017, of just over EC$700 million, from which EC$75.5 million is being allocated to the Ministry of National Security for the 2018 fiscal year, EC$3.5 million more than what was allotted to that ministry in 2017. This dramatically stepped up investment in the Ministry of National Security will further enhance the capacity of the law enforcement agencies to address the challenges faced with administering law and order and citizen safety. It will also help to facilitate the successful implementation of projects and programmes such as the continued roll-out of the Cities and Roadways Surveillance System CCTV Project that is being carried out with the assistance of the Government of the Republic of China (Taiwan). Phase one, which has already seen over 200 cameras brought on stream, covers the Basseterre area, Frigate Bay and its environs. In February of this year, the Government was forced to close the doors of the St. Paul’s Police Station as a result of the poor physical conditions of the existing infrastructure that posed a serious health risk to the men and women of the Royal St. Christopher and Nevis Police (RSCNPF) stationed there. Officers who were stationed there are now attached to the Dieppe Bay Police Station. Prime Minister Harris further noted that his Government’s response to crime and violence goes far beyond the provision of new vehicles, equipment and enhanced technologies. Dr. Harris noted that the ministry has invested in and seen results from its social intervention programmes, including the highly successful Mol-Phil Explorers Youth Club, which has a membership of over 100 children from the Molineux and Phillip’s areas, the Teen and Police Service (TAPS) Academy that was re-established in schools this year, as well as the re-introduction of the Cadet Corps in all secondary schools.